establishments offering fusion cuisine. 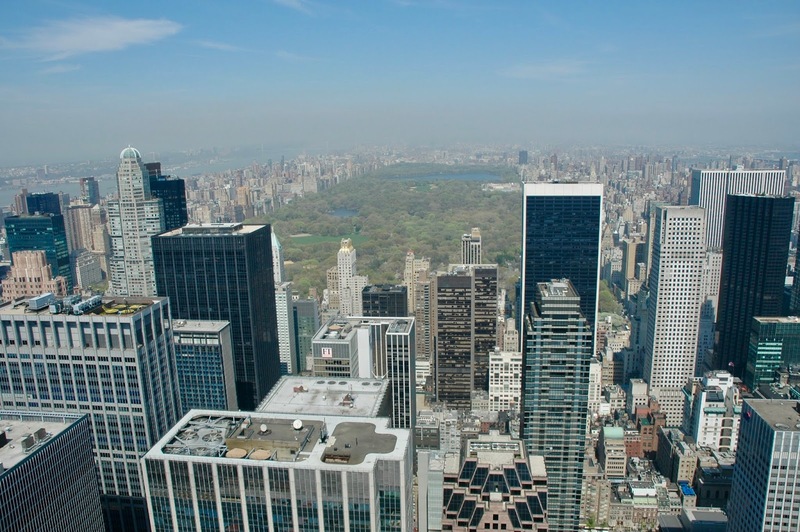 And all of them are located in Midtown, that means in the area between 34thStreet and 59thStreet. This is due to the fact that we also stayed at a hotel here. More to this subject you will find in my next blogpost. 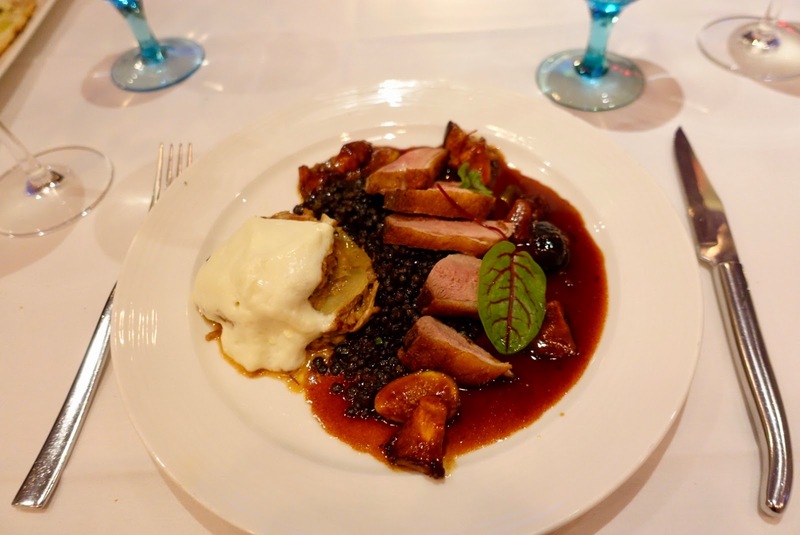 In case you should be interested in excellent restaurants south of Midtown, have a look at this blogpost. All the restaurants mentioned here are still hip places. 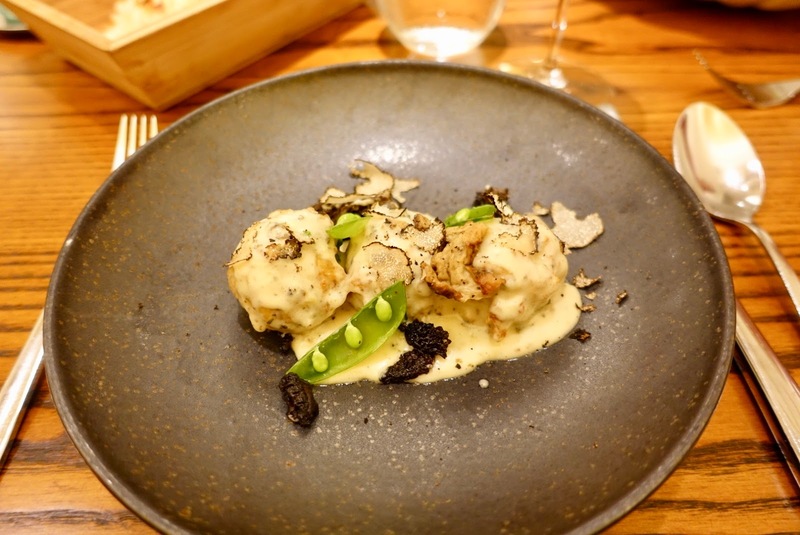 We even revisited one of them, Restaurant Musket Room in Soho, and we liked what we got once again! But now to the fusion restaurants we went to in Midtown. 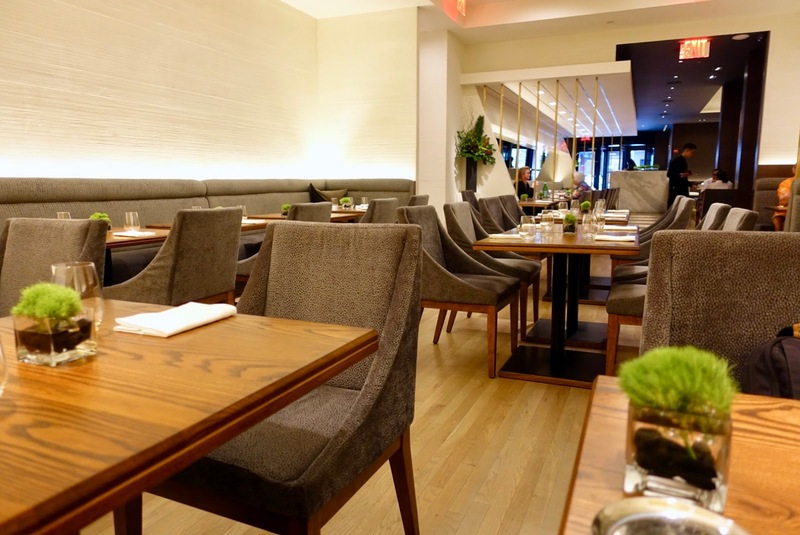 is not Alex Stupak’s first restaurant under the name of Empellon. According to the New York Times his “earlier Empellons weren’t necessarily meant for anybody”, but this one is more a crowd-pleaser. 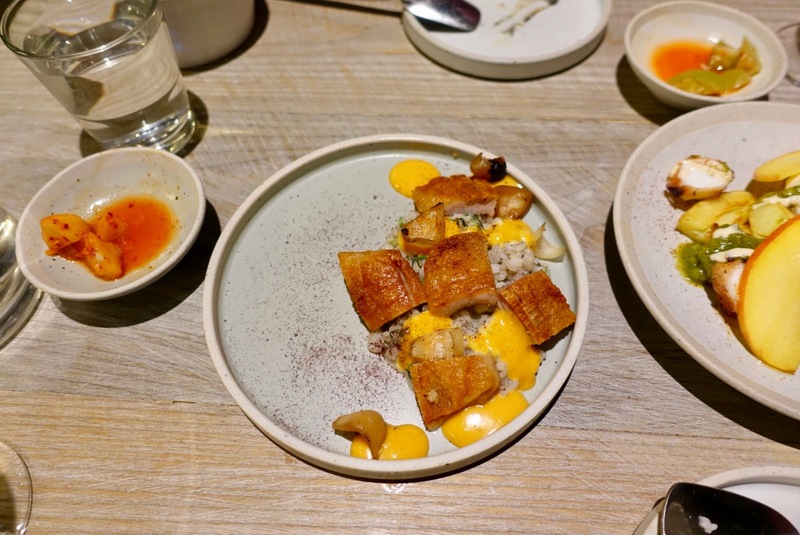 The chef is still a “technical wizard” (New York Times) – he used to work as pastry chef at the renowned WD-50 (molecular gastronomy, where we had dined too – his creations are more harmonious now. 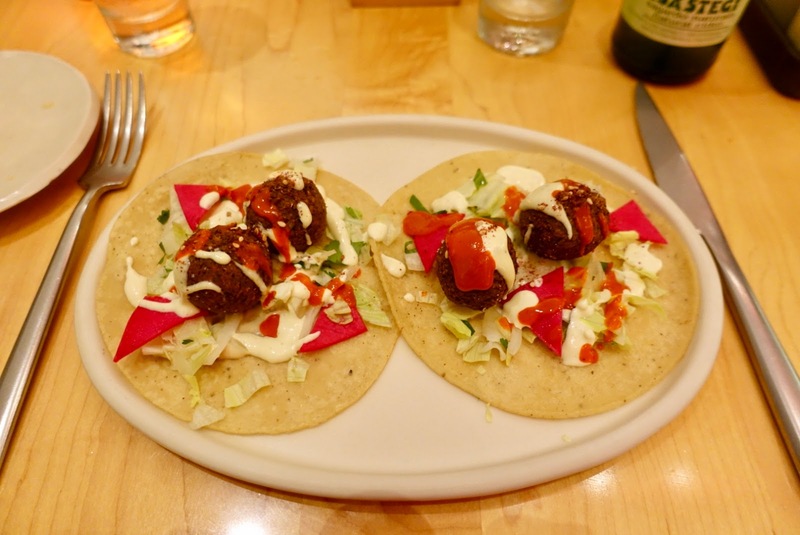 On offer here are inventive tacos but also pasta, meat and fish dishes, all Mexican-inspired but by no means typical Mexican food. for the two of us to accompany the fantastic Margaritas, a great choice! 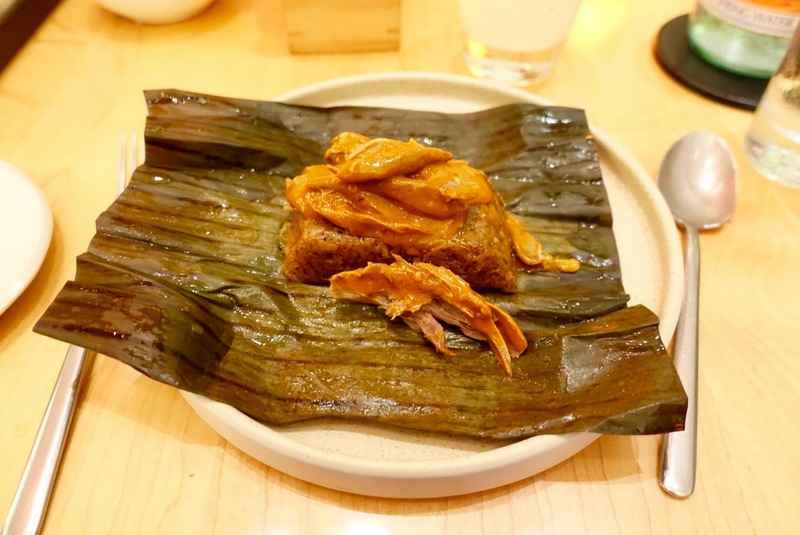 An excellent starter was the sticky rice tamal with red Chile duck. 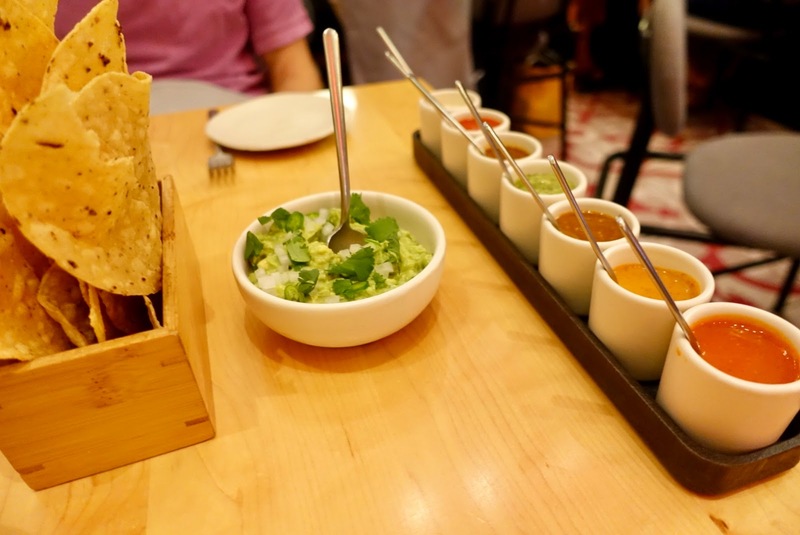 As to mains, we found the tacos with falavel accompanied by red and white sauce excellent. 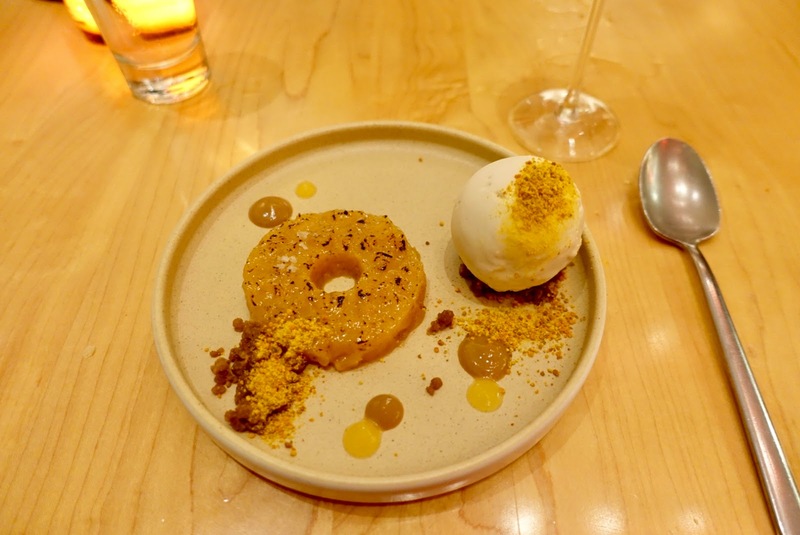 When it came to desserts, my husband and I opted both for pineapple with piloncillo (unrefined whole cane sugar), pee pollen and chamomile ice cream. Not only the ambiance and the food were convincing, also the service was up to level, relaxed and cool yet friendly and informative. I look forward to the further development of Empellon, maybe also towards a new fine dining place as the chef has it in mind! While Junghyun Park oversees the kitchen here, his wife Ellia does the same for the dining room. 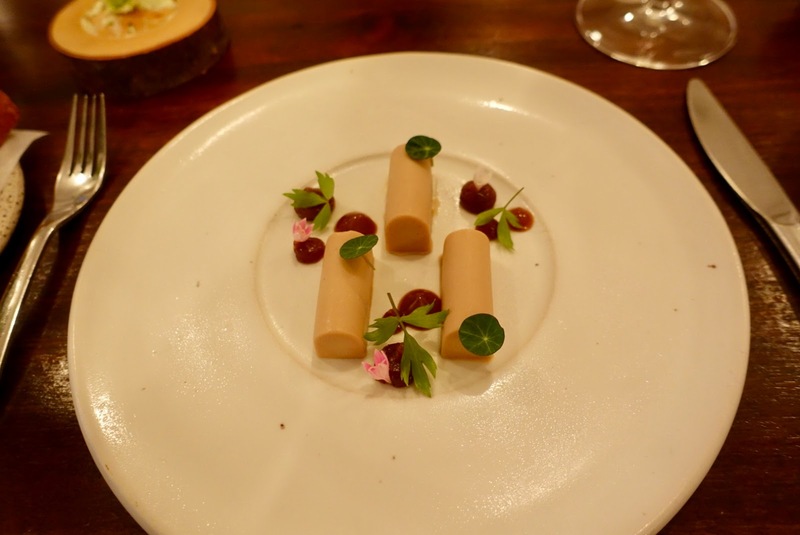 We had dined on a previous occasion at Restaurant Jungsik, a two Michelin starred Korean restaurant, where the chef used to be responsible for the kitchen and were thrilled with the offered (although we found it a bit too expensive at the time, being one Michelin starred). Anyway, here at Atoboy you do certainly not overpay for what you get! 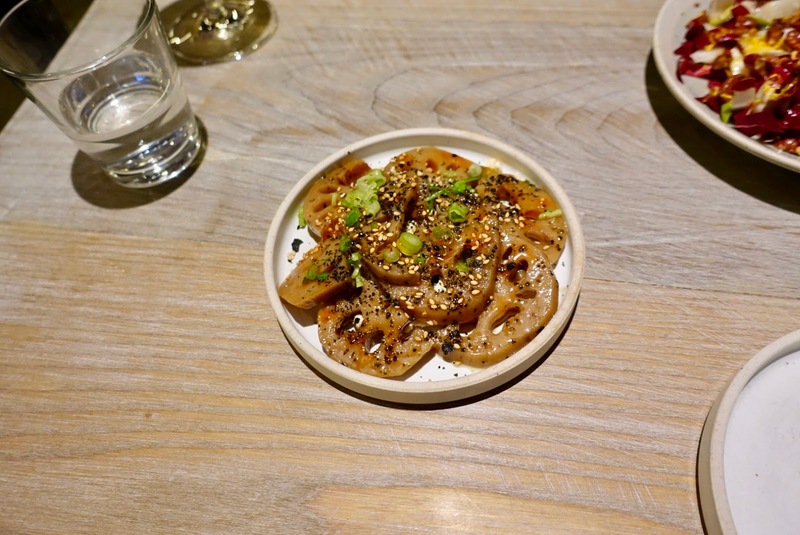 Food is inventive, Korean-inspired and family-style. 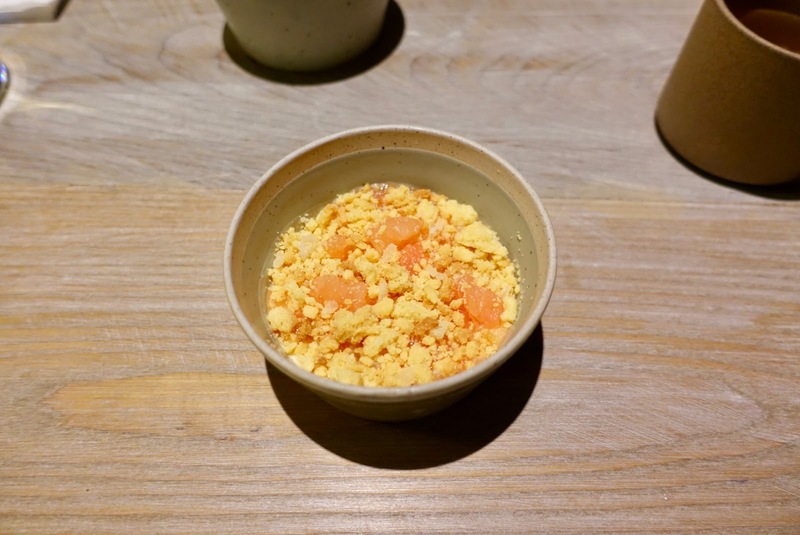 – barley (cereal grain), ssamjang (spicy dipping sauce), cipollini onion. 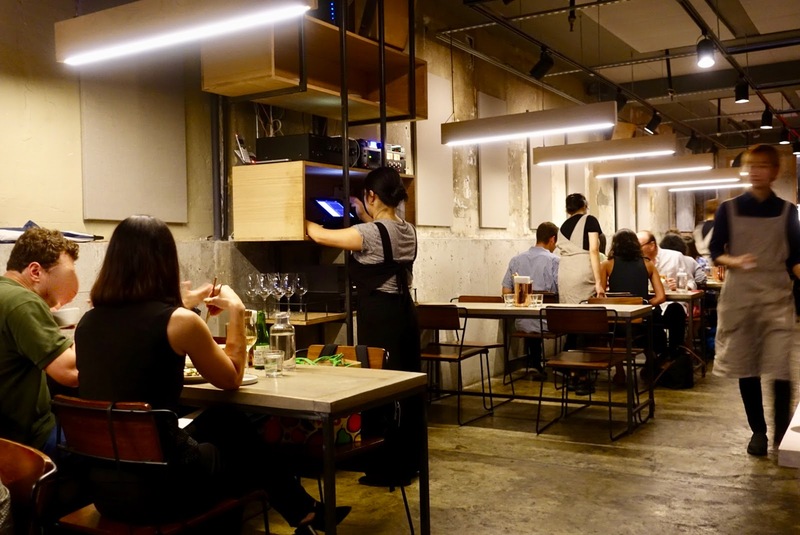 The interior is kept understated with parts of the plastering kept rough, simple tables and chairs as well as cutlery and napkins in a box to help yourself from it. 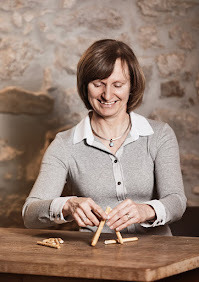 Service is kind, attentive and makes thoughtful suggestions what to order. 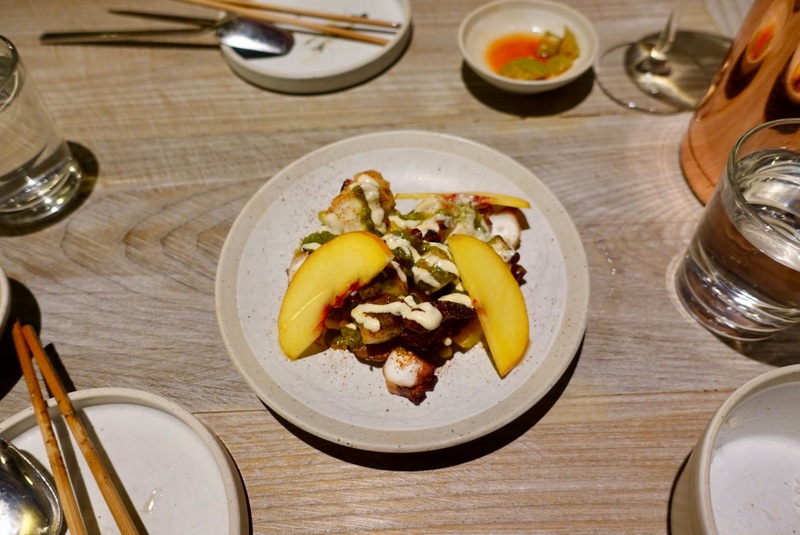 Bottom line, if you are in for excellent Korean-inspired food, reasonably priced, in a fun place, then you must go to Atoboy, a feast is guaranteed here! By the way, the couple just opened a fine dining establishment, Atomix, which almost certainly will be a success given the past experience made with the chef! 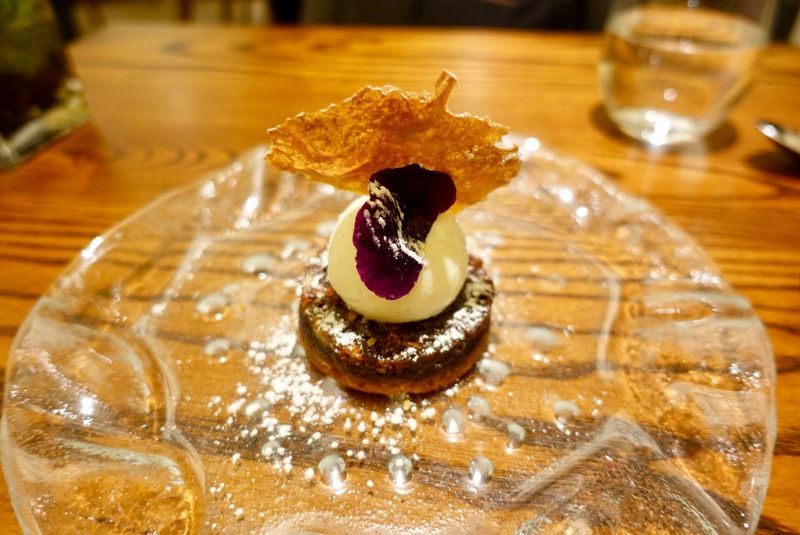 This is not your usual taverna offering simple Greek food but an elegant restaurant featuring sophisticated Greek cuisine with a contemporary twist in a hospitable ambiance. 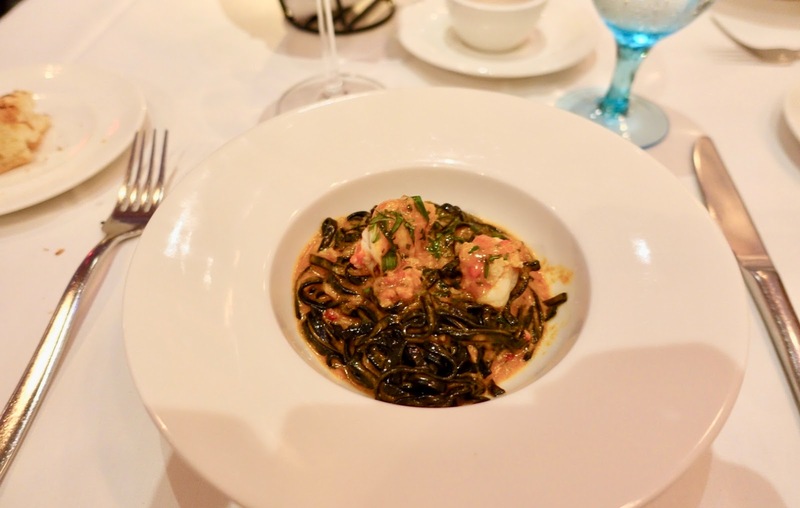 It is not a newly opened place as the two before mentioned restaurants, but has helped to enhance the local fine dining scene as to high-end Greek establishments for five years now. 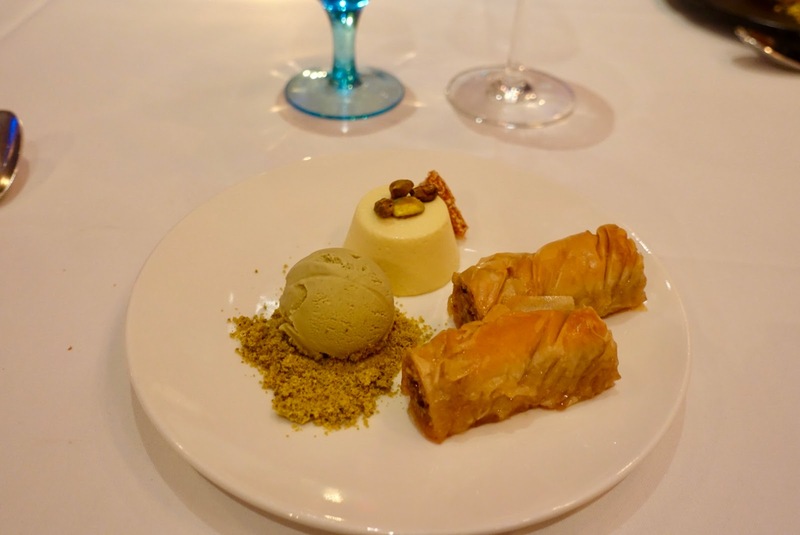 hand-rolled baklava, tahini parfait, sesame brittle and pistachio gelato. In terms of pricing, you get here sound value for money. There is a prix fixe offer at 79 $ where you can choose four courses from a menu including starters, pasta, mains and dessert. 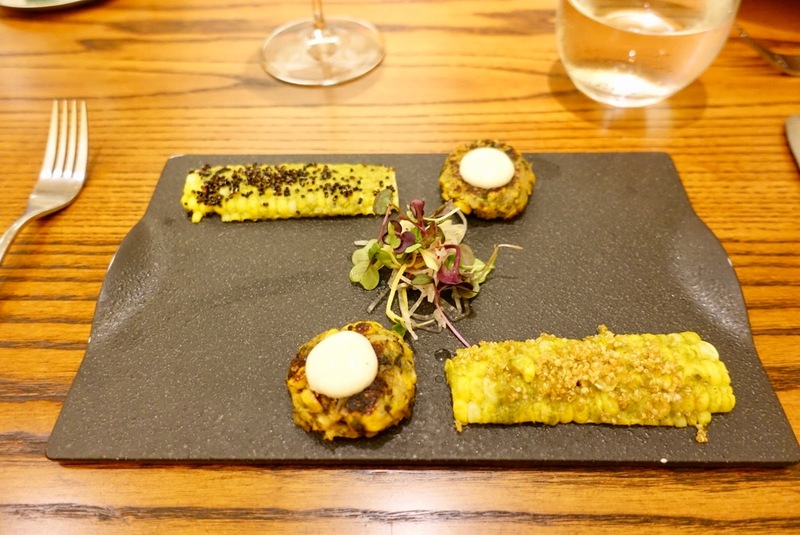 This modern Indian restaurant was not new to us as we already had dined at chef Manish Mehrotra original restaurant in Delhi/India (see my blogpost). This establishment is not only considered as India’s best restaurant, but even listed No. 90 in the World’s Best Restaurants. 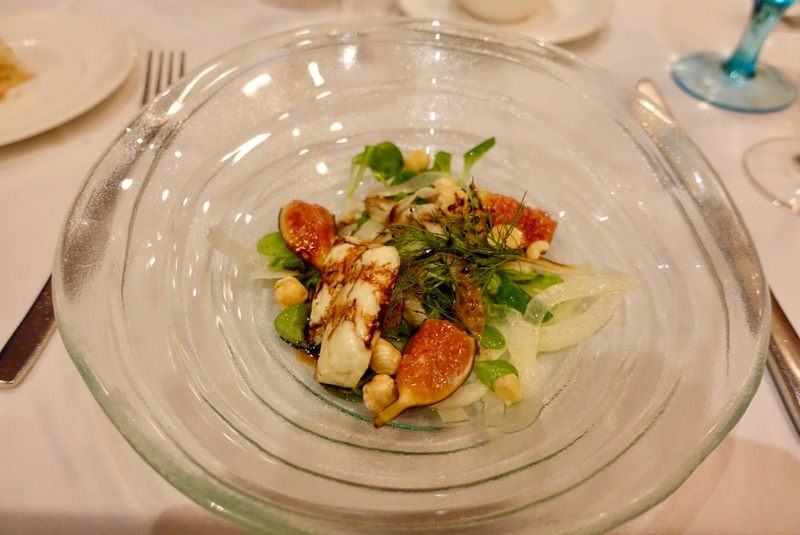 We had high hopes as to the New York City branch, opened in 2016 – there is another in London –, as we had immensely enjoyed our diner in India in this spring. And we were not disappointed although the menu was quite different from the one in India: less choice, fewer vegetarian dishes and a more Americanized style. 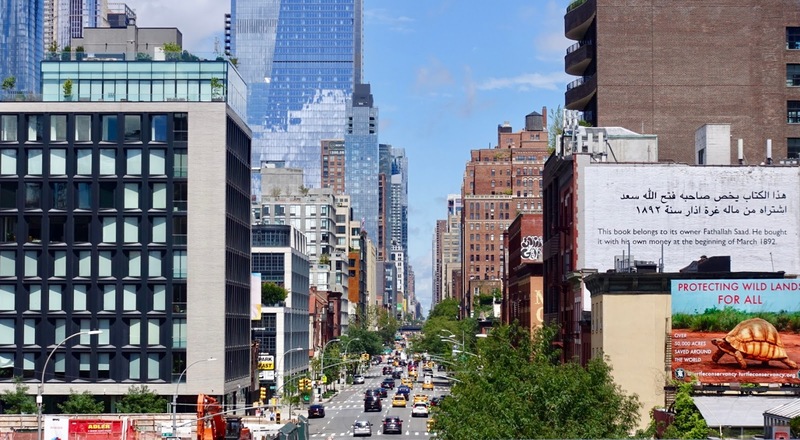 That said, I can vividly imagine that is no easy thing to transplant an approach that worked well in New Delhi to New York City. was an inventive and delicious starter at the same time. 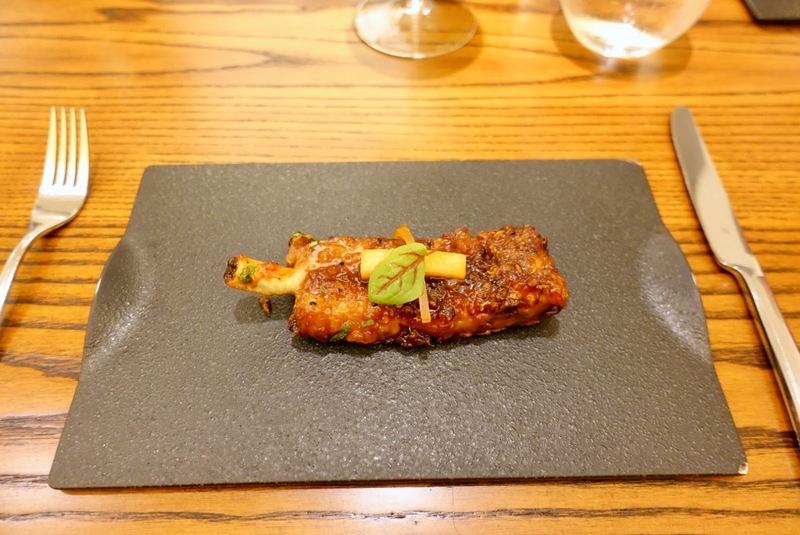 A real treat was the middle course, sweet pickle ribs, sundried mango, onion seeds. was heavenly! The fudge-like sweet made with milk, sugar and nuts was crumbly and not smooth as other barfis I have tasted so far. We really liked our dinner experience at this restaurant with its own rendition of Indian food. 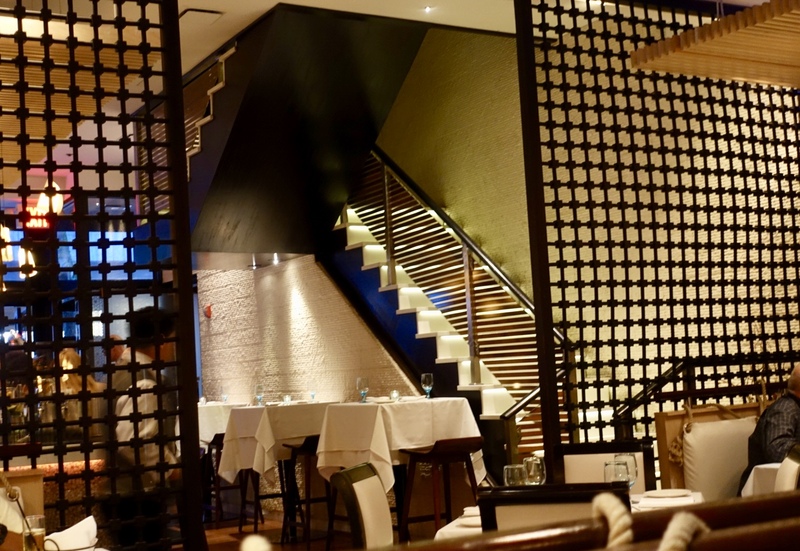 Just as in New Delhi, the place does not feature many Indian elements but is of a contemporary appearance boasting bare wooden tables and a sleek bar. 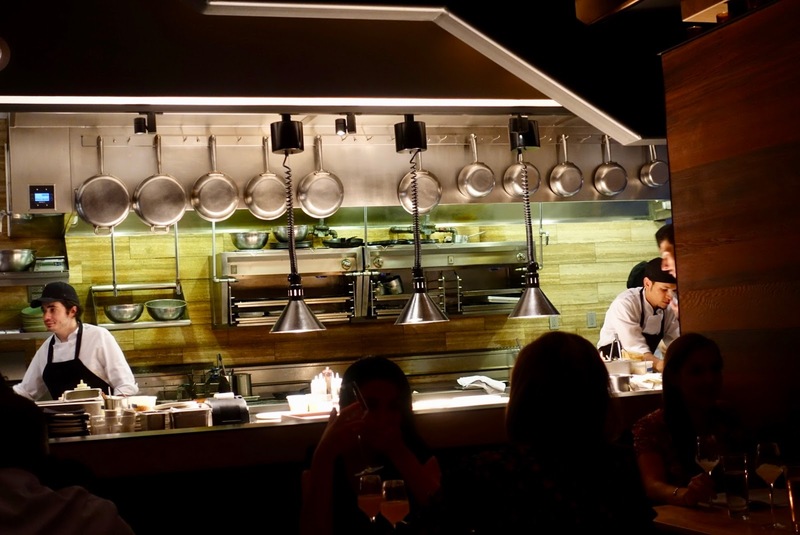 Servers are accommodating, personal and keen on explaining the dishes. I look forward to getting to know also the London branch of Indian Accent on my next visit to the UK!